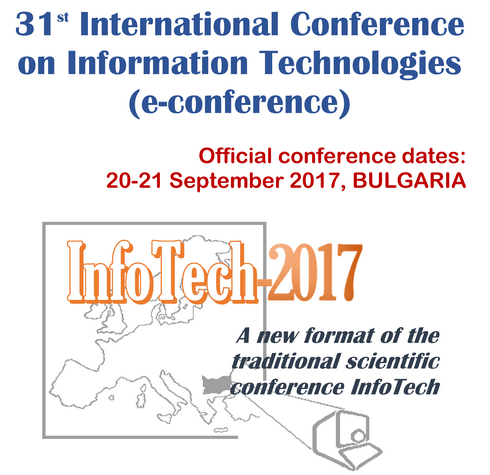 The international conference TELECOM 2017 took place on 26th and 27th of October 2017 and for the eighth time will be held at the National Center of Science and Technology (NCST) – Sofia, 108 Rakovski St., BULGARIA. The Union of the Electronics, Electrical & Communications Engineers (CEEC) has had a signed Memorandum of Understanding with the The Institute of Electrical and Electronics Engineers (IEEE) ever since 2001. Signing of the latest MoU in Sofia, Bulgaria. CEEC is a member of the Bulgarian FEDERATION OF THE SCIENTIFIC ENGINEERING UNIONS. FSEU is a professional, scientific - educational, nongovernmental, non-political non-profit association of legal entities - professional organizations registered under the Law on non-profit legal entities, whose members are engineers, economists and other specialists in the field of science, technology, economy and agriculture. FSEU performed bilateral cooperation with similar organizations from many countries. FSEU brings together 19 national associations - Scientific and Technical Unions (STU), 34 territorial associations, which have more than 15 000 professionals across the country. FSEU is a co-founder and member of the World Federation of Engineering Organizations (WFEO). FSEU a member of the European Federation of National Engineering Associations (FEANI), and a member of the Standing Conference of engineering organizations from Southeast Europe (CO.PICEE), Global Compact, European Young Engineers (EYE). The Federation has the exclusive right to give nominations for the European Engineer (EUR ING) title. In August 2017, a contract was signed to encourage and support the economic, scientific and technical cooperation in organizing science events, symposia, promotional meetings, seminars and exhibitions in the field of electrical engineering and electronics between CEEC and the «Academy of Electrotechnical Sciences of the Russian Federation». The annual international seminar organized in part by CEEC and FNTS, EEPRYE 2017, 'Engineering Education and Professional Realization of Young Engineers' was held on July 10 in Osijek, Croatia. The 15th International Conference on Electrical Machines, Drives and Power Systems, ELMA 2017 took place June 1-3 2017 in Sofia at the Technical University of Sofia. The aim of the conference ELMA 2017 is the desire to give opportunity to academics, scientists, engineers, PhD students, manufacturers and users of advanced technologies to discuss and exchange information about the results of their theoretical and experimental investigation, the utilization of new materials and application of innovative technologies in the field of electrical machines, drives, power electronics and power systems. A two-pages extended abstract for each paper is submitted via the conference management system. Abstracts are be reviewed by two reviewers. All accepted papers will be published in the Conference Proceedings and submitted to the IEEE Xplore® Digital Library. As a part of the conference FORUM ELECTRONICA 2017 on 18 May 2017 at the FNTS building in Sofia at 108 Rakovski St., H.E. Mr. Shin Boonam the Ambassador of the Republic of Korea in Bulgaria delivered a public lecture entitled "Success of Korean Economy" and Scholar Ha will continued with a second lecture entitled "Secret of Korean Prosperity". After the lectures there was a Q&A session. EUREL’s Brussels-Newsletter is reviewed and with an updated layout to present the recent developments within the European Union in the field of Electrical Engineering. InfoTech is an international forum for scientists, researchers, industrial experts to share innovations, experience and new research results in the fields of Information Technologies and Information Security; Technologies for System Design and Intelligent Systems; Technological Aspects of e-Governance and Data Protection, etc. The forum is a successor of International Conference on Systems for Automation of Engineering and Research (SAER), established in 1987 and International Workshop on e-Governance and Data Protection (EG&DP), established in 2005.